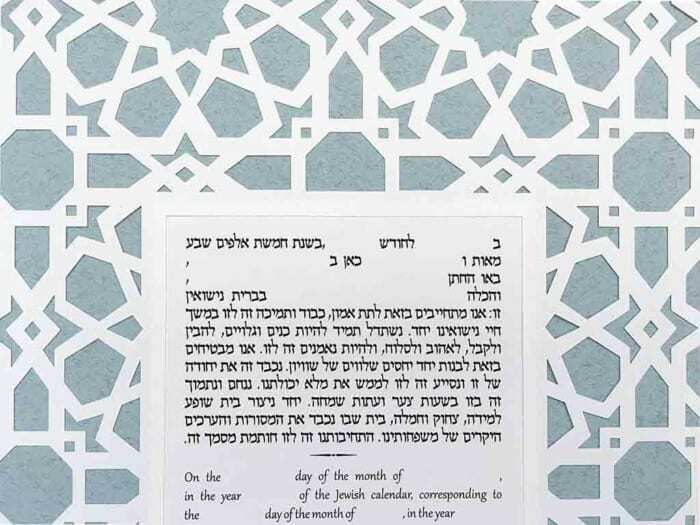 The Sefirot ketubah is a simple yet elegant and traditional design. 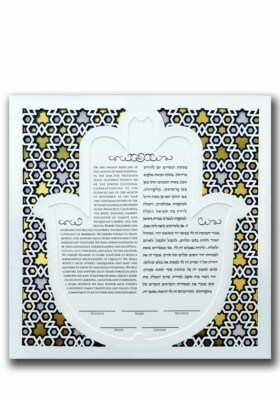 Inspired by the ten spiritual dimensions detailed in the Kabbalah and rendered with a Middle Eastern flair. 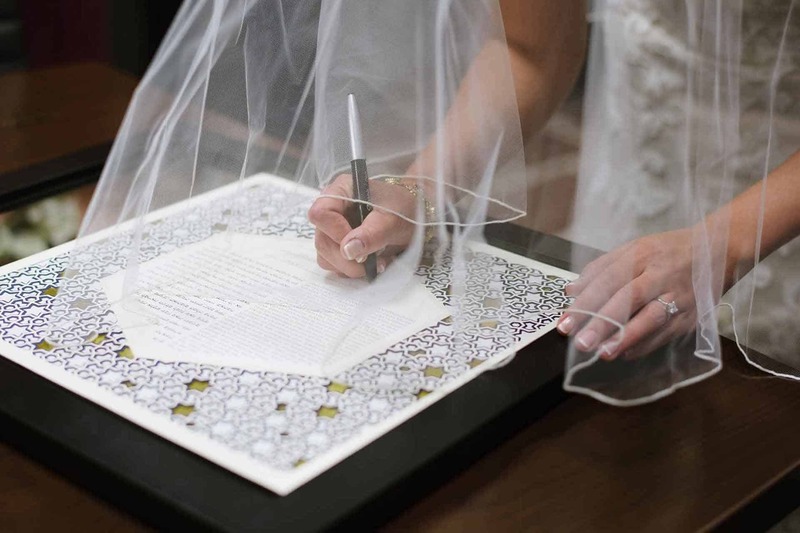 It comes in a single 11×17 size, which will fit in a standard off the shelf frame. 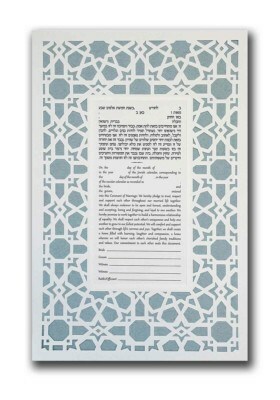 I designed this ketubah to be affordable in every way. 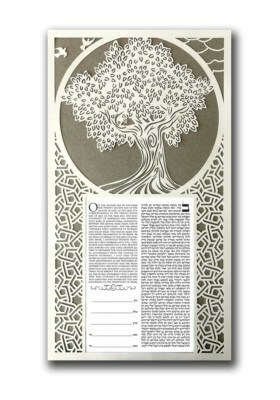 It is the perfect design for couples who want a papercut for less than the price of an average printed ketubah. You can select any of the available texts. The text will have blank spaces for your rabbi to fill in at the wedding. 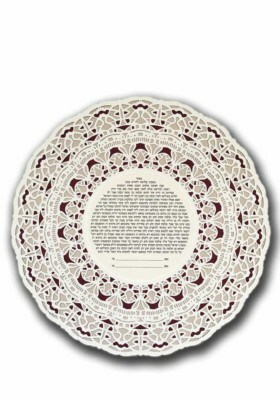 This is not a personalized ketubah. 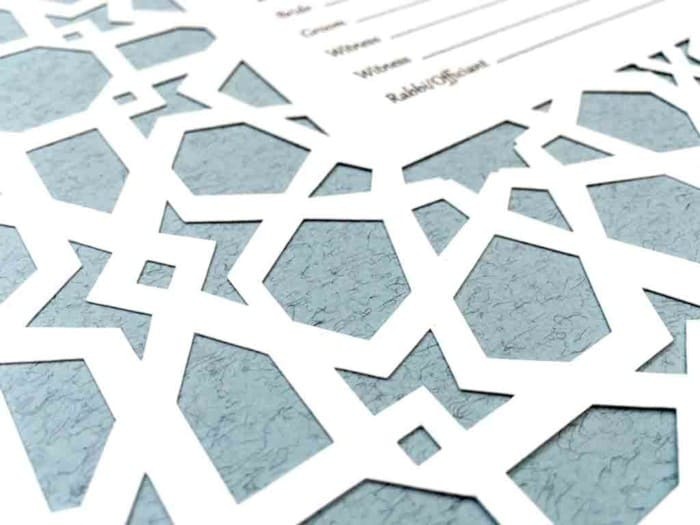 The color for this design is white on Marina light blue, as shown in the photograph. 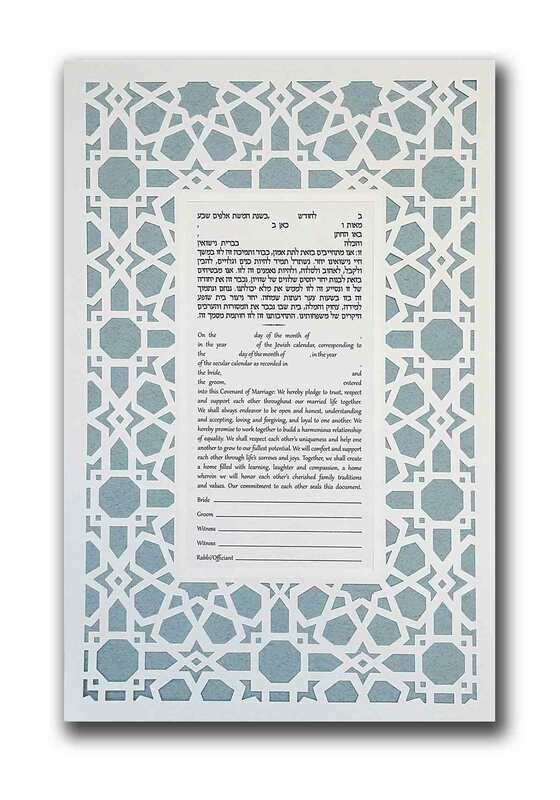 Because the text is not personalized this ketubah is ready to ship within two business days. Love the design but want to spend less? 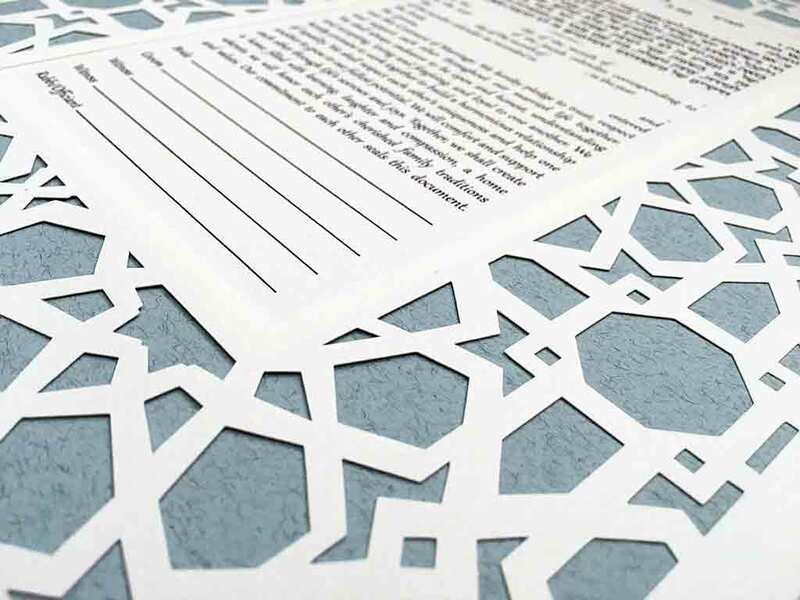 This design is also available as a DIY project that you can download with a “pay what you want” format. You can find the downloadable template here.